The Spirit of Astana 2018 will present the musical heritage of Africa at the International Festival of Contemporary Ethnic Music. 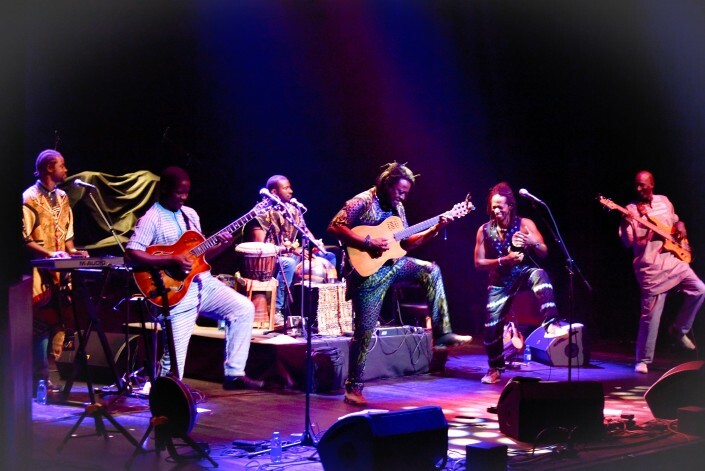 On July 6-8, Mamadou Diabate & Percussion Mania representing Burkina Faso and Senegal and Habib Koité & Bamada from Mali will perform in the square in front of the Baiterek monument, Tengrinews.kz reports. Contemporary Ethnic Music The Spirit of Astana 2018 is held with the support of the Astana Akimat as part of the celebration of the 20th anniversary of the capital of the Republic of Kazakhstan. A grand three-day show starts on July 6, on the City Day. The Festival will be held in the Square in front of the Baiterek monument. The show starts at 17.00. Free entrance. 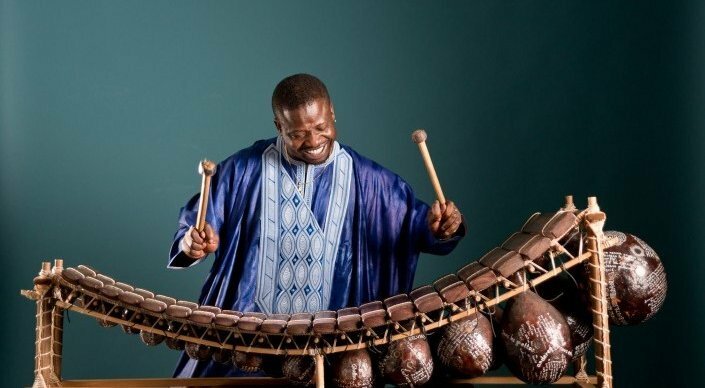 Mamadou Diabate is a titled master of playing the balafon and a composer born in Burkina Faso. He comes from a traditional family of musicians and storytellers, the Jeli, who belong to the Sambla people. He started his professional education at the age of five. His virtuosity is outstanding - some music critics say it seems to them that Mamadu has more than two hands. The honed technique allows Mamadu to play solo on a balafon so that it seems as though three balafon players are playing together. Since 2001, the musician has released 13 CDs. Keneya's album is the world premiere of the recordings of the traditional music of the Ballet of the Sambla people. This music is called the true language of the Sambla people: musicians who do not know this language cannot play on this unique instrument. 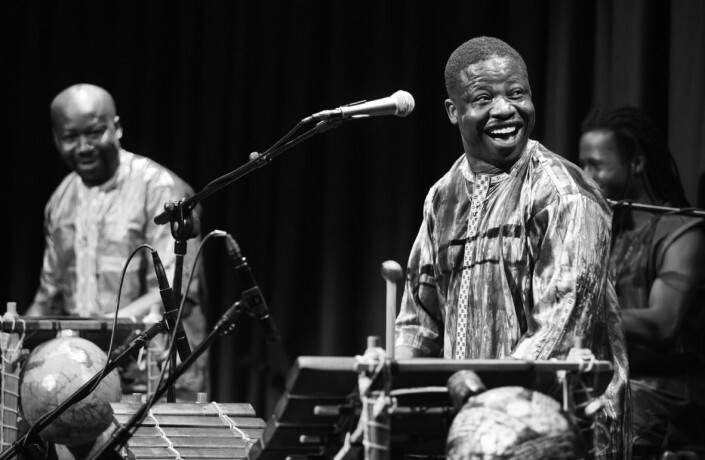 In the Mamadou Diababte & Percussion Mania group, the leading instruments are two balafons: Mamadou and his cousin Jakub Konateh conduct music dialogues with each other. The West African project is unique all over the world. Today, Mamadu lives in Vienna, and since 2017 he has been giving lectures at universities. Balafon is a percussion musical instrument that consists of 15-22 rectangular plates made of shea wood or hard rocks. Before processing, the boards are dried in the sun and then on fire, during the tuning they are filed to the desirable sound. Under the plates there are resonators made from calabash. They often pour small pebbles or dried seeds, which leads to a coarse and rattling sound. Parts of the balafon are joined together by leather straps. Like other similar instruments, balafon is played with special sticks. It is used by vagabond performers, both as a solo instrument, and for accompaniment of singing. "Hello everybody! My name is Mamadou Diabate, I am a musician from Burkina Faso and together with my project Percussion Mania we have gathered to invite you all to the International Festival of Contemporary Ethnic Music The Spirit of Astana 2018. We are very happy and look forward to meeting you. And yes, we will come very soon! " the musician said. 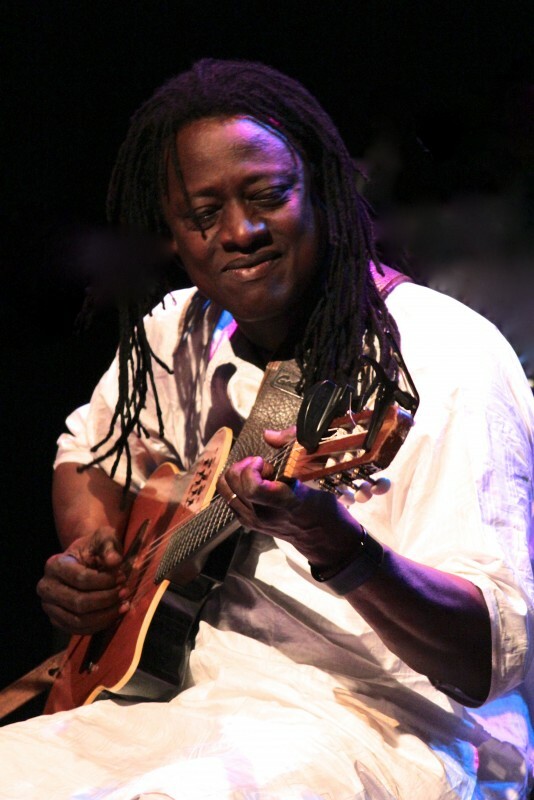 Malian guitarist Habib Koite is one of the most popular and recognized musicians in Africa. Habib Koite was born in 1958 in the Senegalese city of Thieza - his father built a route between the country's capital Dakar and one of the cities of the Republic of Niger. The musician has 17 brothers and sisters. Soon the family returned to Mali. The artist comes from a noble dynasty of Hassonian griots - traditional troubadours who perform at various rites and events. Their goal is to preserve the unique cultural heritage of Mali. Having grown up Habib developed his unique style of playing the guitar. He inherited his passion for music from his paternal grandfather, who played kamele n'goni, a traditional four-stringed hunter instrument from the Wassolou region (Mali). The ethnic performer notes that no-one taught him to sing or play the guitar: he looked at his parents and adopted their knowledge and skills. The musical traditions of Mali have a lot of regional variations and styles. 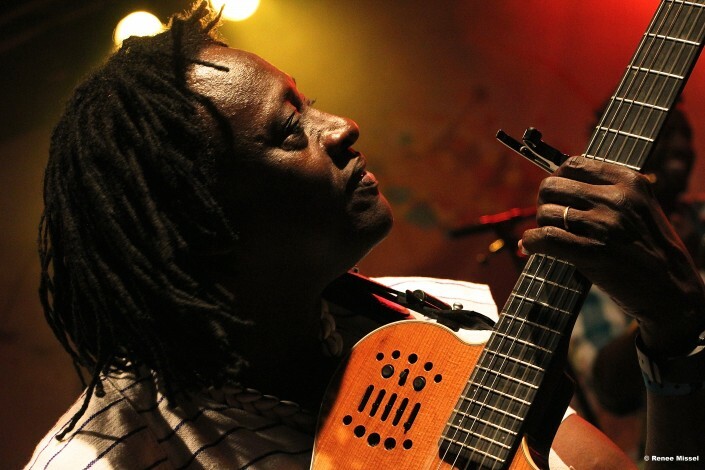 Habib is unique because he merges different styles creating a new pan-Malian approach that reflects its unbiased interest in all kinds of music. The prevailing style of his work is the popular rhythm of danssa from his home town of Case. The musician himself calls his style danssa doso. Doso is the oldest traditional music of Malian hunters. The musician travels throughout the country, adopts all the traditions, adapts them and uses them in his music. "Hello, my name is Habib Koite. I am a musician from Mali and I am very happy to return to Kazakhstan and take part in the Spirit of Astana Festival. I'll see you from 6 to 8 July at the main open-air area of ​​the city - the Square in front of the Baiterek monument. Astana residents and guests of the capital will enjoy the shows from 18 great bands from more than 20 countries. The musicians represent such far-abroad countries as Ireland, Burkina Faso, Senegal, Turkey, Japan, Mali, Hungary, Peru, the USA and India. Previously, the first six participants of the Festival were already announced: Marga Muzika (Lithuania), GeoTRAIN (Georgia), Kerekes Band (Hungary), Indiogenes (Peru), and musician Robert Yuldashev with Quraisy band (Bashkortostan). The Spirit of Tengri is a multicultural and one of the world's largest projects in the genre of contemporary ethnic music, with a status of a national cultural brand. To date, musicians from 70 countries and regions of the world have been on its stage. Over these years, more than 100 thousand Kazakhstanis and guests of the country have been its visitors. The Spirit of Tengri festivals are bright colorful music shows accompanied by informational art materials and video content. Thus, they are not only entertaining but also educational.